1. Time. When you are with him, you start feeling like time is not on your side. That’s your intuition talking. Listen to it. If it seems he never has any time for you, take look-see. One thing that will always remain true is that a man will always make time for things or people that are important to him, especially the love of his life. 2. He’s always asking you to go 50/50 on everything. It’s nice to have a woman who can chip in to help from time to time. And maybe you are even capable of footing the bill. However, if he insists that everything is always even, including your dinner dates, and that you get this one and he gets the next one and it goes back and forth, he’s definitely not in love with you. A man with pride would never do that. 3. 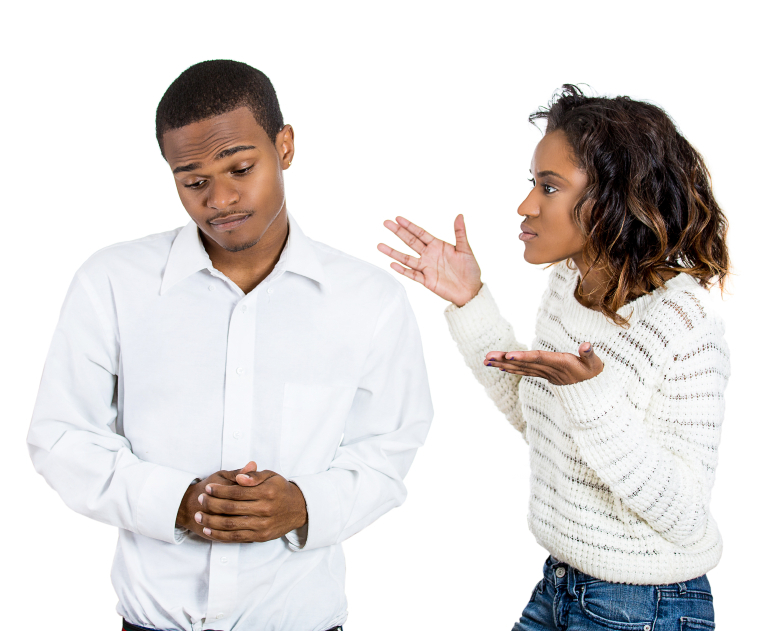 FRIENDS – If you’ve been dating for a while and he continues to refer to you as his “friend,” he’s not in love with you. Even if he were your friend, he wouldn’t lead you on like that. If he says you are just friends, that’s what you are. Do not have any expectations of anything else. 4. He often ignores your phone calls and doesn’t call back. You have hope, but deep down in your heart, you know that his love is not true. If he’s ignoring your calls, he’s just not that into you. If a man cares about you, he wants to talk to you. Honestly, if you are calling all the time, you may be coming across as needy and that will drive a man crazy. 5. MIA on his social media – If there are no signs of you anywhere on any of his social media pages, no photos of you on Facebook, no mentions of you on Twitter and not one good photo of you on his Instagram – it could mean he isn’t ready to publicly declare his interest in or connection to you. Frankly, though, he doesn’t take pride in you. Regardless of what anyone says, real love can’t help butbe publicly professed. When Tiger Woods started dating Lindsey Von, did he hide it? Why would your so-called man hide you?